Do not forget your passport and other needed travel documents. Get the phone number of your embassy in Greece, just in case. 002Do no try to see too many islands/locations. Enjoy every region and relax, after all that is the meaning of vacations. Do not organize trips every other day to see as many Greek islands / locations as possible. Give every island the time it takes to love it. The earlier you book your hotels or air tickets, the cheapest prices you will get. Concerning ferry tickets, it is better to book the Greek ferries early if you plan to travel between mid July to the end of Augurst. In all cases, book early if you need a cabin or if you are traveling with a car. 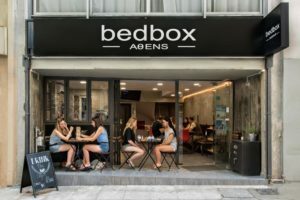 As hotel rating in Greece may be a bit different than the international hotel rating, make sure the accommodation you book has all the facilities you need. Also note that hotels are rated with stars whiles other accommodation (apartments, rooms, studios, etc) are rated with keys. Greece is not organized very well for disabled person. If you are a person with special needs, book early your special cabin for disabled in the Greek ferries. Unfortunately, ferries in Greece have only a few such cabins. Also make sure that the ferry and your hotel is easily accessible for you. Moreover, some Greek islands, like the Cyclades, are much troublesome for disabled people. Prefer more “flat” islands. Make sure you have enough money or you have ways to get some, for example through an ATM. Always have a credit card with you. You will find ATMs but many restaurants do not accept credit cards. Apart from visiting the famous popular islands, it would also be a good idea to visit some mainland, too. This is the best chance to get to know some traditional Greece but also to discover some of the most important ancient sites of Greece. Smoking is a very bad habit of the Greeks and it results very annoying for tourists. Till recently, smoking was allowed almost everywhere but closed public rooms should have special areas for smokers and non-smokers. A law published in July 2009 prohibited smoking in all indoor places and demanded special distinctions to be put in restaurants and clubs to separate smoking and non-smoking areas. Note that almost 50% of the Greek population smokes, so it will be impossible to avoid it. Another problem in Greece is the stray animals. You will see many dogs and cats on the streets of every single city or island. Some sensitive locals may give them food, but the problem remains unsolved and it grows with so many locals abandoning new-born animals. You will find churches and monasteries everywhere in Greece, As the Greeks are much bonded with religion, there are plenty of chapels in all towns and islands. In fact, there is a particular dress code to enter a church or a monastery. Visitors should be properly dressed, that means no swimming tanks, long trousers for men and long skirts for women. Have in mind that the toilette system in Greece is not much advanced as in other European countries. Almost everywhere, they ask that you do not throw the paper in the toilet, but instead there are small bins next to the toilette to put the paper. These bins are emptied by the cleaning staff. Internet connectionis pretty easy in Greece. If you have a laptop, you can connect in the several free WiFi spots in many squares or malls in Greece. Moreover, you can buy a prepaid internet card from the kiosk, which also includes an available phone line you can use for the dial-up connection. Have in mind that many hotels also offer internet connection and, of course, you can go to the many internet cafes you will find all over the country and in all large islands. Get informed on the opening hours of each museum in Greece or archaeological site. Every museum has different working days and hours. The usual practice is that they are open from early in the morning till midday, closed on Sundays and Mondays. Famous archaeological sites are open till sunset, but still there may be differences between one site and the other. There are few things you shouldn’t forget when you travel in Greece: your camera, your sunglasses, bathing suit and sun cream. Do not worry if you forget anything as you can easily find it in Greece. Do not take much luggage with you because the trip might be long. Getting on and off planes or ferries will be very tiring if you have to drag your over-packed suitcase. Moreover, the paths in the islands are paved and it will difficult to carry many things. After all, you will not need but a couple of swimming suits, some light summer clothes and a couple of flat shoes or comfortable sneakers for walking. Also have a light sweater for some chilly evenings because the wind blows often in the islands. Take something even warmer if you going to rent a scooter. If you are coming in spring or autumn, make sure you have some heavier clothes with you because the temperature in Greece is still low (about 25-30oC in May and September but nights and mornings are cool). Also have a small umbrella as rainstorms are frequent and sometimes sudden, although they usually last no more than half an hour. You will regret coming to Greece without a camera. You will find camera accessories there (batteries, storage cards, cables). Go home with plenty of memories and photos. Remember that in some archaeological sites or museums, you are not permitted to take photos and in the rest of the museums, you can’t use flash because it damages the quality of the marble exhibits. Have a map of Greece and the different regions as well as travel guides with you or collect all the information from the Internet, before you come to Greece. Few years ago, if your country had 110V electricity, you would need an electric adaptor because Greece has 220V electricity. Nowadays most current electric equipment (laptops, cell phones, etc) use chargers which adapt to voltage changes automatically, so you do not need a transformer for those. However, you do need a plug adapter, which only changes the shape of your electric plug but not the voltage. It will be easy to communicate in Greece, even if your English is not fluent. Most Greeks are familiarized with tourists and they will help you if you need directions or an explanation. Moreover, most street signs are in both Greek and English, so no reason to really worry about getting lost? Not exactly as most of the time there are not enough signs and many streets have no names. The Greeks will be more friendly and eager to help if you try to speak some Greek, too. Just a couple of words are fine, they love it when they hear a stranger speaking their language. So, say kalimera instead of “good morning” and efxaristo instead of “thank you”, and you will see some big proud smiles in their faces. The Greeks like tourists and feel proud to welcome them, however they get mad when tourists bother them. Ask questions nicely and do not cause problems. For example, if you are making noise because you are drunk, the Greeks will probably call the police. The locals expect tourists to be descent. The Greeks are generally polite, although in some cases they may look bored or indifferent. Do not take it hard, some people are like this to anyone, locals or tourists. You may encounter such indifferent waiters, for example. Don’t be upset. Just ask in a polite way to be served and you will be served, even without a smile on the face. Although the Greeks may see that you are having a problem (e.g. you may desperately search your destination on a map in the middle of the street and look confused), they will probably not deal with you unless you ask them a question. If you do ask a question, they will turn their head with a big smile. Their philosophy is not to bother tourists and to let you make the first move. A very common gesture you will definitely see in Greece is moutza: hand extended, five fingers open. This is a very rude gesture to show disapprovement and frequently used by drivers. Do not do that gesture, the Greeks will consider it very offensive. The official monetary unit of Greece is the Euro and no other money is accepted, so you will have to exchange your currency with euro. You can do it in the banks, in currency exchange offices or at the airport. Although credit cards are widely used abroad, in Greece most payments are done with cash. Credit cards are accepted in most stores (big shopping stores, large super markets, malls, restaurants) but do not take it for granted that people will accept it in smaller stores. For example, a tavern in a small / remote island will probably not take credit cards, nor will groceries or a kiosk on the street. Always have cash with you, just in case. Also even if the store window has signs that they accept credit cars, better ask before you buy to avoid any unpleasant surprise in the cashier’s desk. The best way to get money in Greece is through the ATMs that can be found almost everywhere. There are plenty of them in the large cities and the popular islands, however some small towns or remote islands might lack a bank or an ATM. Make sure there is an ATM in your destination or you should take more cash with you. You have to know that there is usually a daily withdrawal limit in ATMs, so if you have to pay a large amount (like the hotel bill) make sure you have enough money beforehand. Also better get your money from the ATM a day or two before you need them, do not wait till last minute. What if the ATM has broken down or left out of money? Personal checks are not much accepted in Greece, unless you have made an agreement with the other part. Although crime rate is on the increase the last years, Greece is still a very safe country. No comparison to other European countries or the USA, where there are ghettos and gangs. Except for some neighborhoods in Athens, like Omonoia, where it would be preferable not to walk alone at nights, the whole country is safe. Crime in smaller cities and villages is almost inexistent. The only crime you might experience (mostly in large cities) is some thefts in crowded places or in the public means of transport. Pay attention to your wallet, especially in the buses or trains, and do not leave it exposed. Using or selling drugs is strictly prohibited in Greece. The country has some of the strictest drug laws in Europe. You are prohibited to use even light drugs, like marijuana. Tourists do not form exceptions in the application of these drug laws. Women do not need to be afraid walking alone in Greece, just stay away from some specific areas of Athens at night. Any other time in any other place is safe. No reason to be worry at all in all the touristy areas like Plaka. It would be a good idea to lock valuable in your hotel safes, just in case. Although hotel thefts are pretty rare, there is no need to take the risk. Pay attention when you cross a street because car drivers seem to totally ignore pedestrian signs. Do not expect that they will slow down when you cross the street. They are more likely to make an abrupt turn past you than slow down. Very few beaches in Greece have bay watchers, so pay attention when you swim. The Greek sea is not dangerous but you never know, especially if you are not a prompt swimmer. Better go where the locals go, just to avoid any water wells, urchins or jellyfish. Pay extra attention when the beach is pretty remote or if you go for a night swim. Never go for a night swim in a beach you haven’t experienced. In case of emergencies, dial 100 for police and 166 for hospital care. It would not be advisable to trek in some areas by yourself. Some parts of the islands and mainland can be extremely sparsely-populated and it may take you hours to reach a village or meet someone. Always take water with you. Drink a lot of water if you go to Athens in the middle of the summer. Temperatures can get very high and this way you will avoid deshydratation. Greece has stores everywhere, you will have no problem finding what you need. There are large malls, regular shopping stores, super or mini markets, frequent kiosks (periptero), groceries and gift shops. There are also flea markets and open grocery markets (laiki) in many areas. The centre of Athens in the most popular shopping spot in Greece but the flea market of Monastiraki is also very famous to tourists. However, even in small islands, you will not lack anything. Most stores accept credit cards, but do not take it for granted. For example, people in small grocery stores, in remote taverns and in the flea market will probably not take credit cards, so better ask before you buy. Shopping hours vary in Greece. The general shopping hours are: Monday/ Wednesday/ Saturday from 9 am to 3 pm, Tuesday/ Thursday/ Friday from 9 am to 2 pm and from 6 pm to 9 pm. The Greek shop owners keep the siesta at noon, which might be inconvenient for some, but yet it is a nice tradition. Large malls in Athens and other big cities are continuously open till the evening in the weekdays and till the afternoon on Saturdays, Sundays closed. Gift shops in the islands are usually open all day, every day. Bargains are frequently seen in Athens and other large towns. If you are seating for a coffee and a bargain approaches you, have your mind for pickpocketing. Kindly ask them to leave. There is no rule or norm for tipping in Greece. People do not expect you to tip in anywhere else than in coffee houses, taverns, restaurants and maybe room service in the hotels. But still it is not compulsory. You can tip as much as you want or you can still no tip at all. You will find in Greece the type of food and drinks that you experience in the western world. There are, of course, world ranges of cafeterias and fast-food restaurants (like McDonalds or Starbucks) in the big cities and popular islands, but there are also traditional coffee houses (known as kafenion) and taverns. The best known Greek food is gyros, a folded type of sandwich with pork or chicken sticks, potatoes, onions, tomatoes and tzatziki/ sauce. You can find it almost everywhere in Greece and people eat it for lunch and dinner, too. You can ask for the (folded) gyros, just for the stick or for the plate. When you order, make sure you define what you want because if you don’t, you will most probably get the plate than the sandwich, which is double or triple in price. The most frequent dishes you can order in a Greek tavern is Greek (horiatiki) salad, grilled fish of any kind (pay attention because big fish are sold by kilo and they can be very expensive), fried squids (kalamari) moussaka and pies (cheese pie or spinach pie mostly). Greeks love meat. Although there are usually not special vegetarian dishes in the Greek taverns, many of Greek dishes are composed only of vegetals. But you will not find many vegeterians restaurants in Greece. Bread is almost always included in the meal. Even if you don’t ask for bread, the waiter will bring a basket of bread slices in your table and you will pay extra for it. It is inconceivable for the Greeks to have lunch without bread. Taverns in summer are usually open all day. The Greek eating hours are much different that the westerners. The Greeks usually eat lunch at about 3 in the afternoon and start dinner from 9 in the evening till after midnight. The atmosphere in the Greek taverns is very festive, especially if the locals frequent there. The Greeks usually speak loud in the taverns, laugh and start conversations. Even if they finish eating, the Greeks do not leave but stay for an hour or two more to discuss with their company. Greek companies are usually large and include family members and friends. The same happens with cafeterias, where people take their time when drinking coffee. Having a coffee in a cafeteria usually takes from 1 to 2 hours. Leisure is an important issue for the Greeks. The Greek taverns usually don’t have a closing time, they close when the guests leave. This means that they may close at 1 or 2 o’clock in the morning. If there is live music, the closing time extends even more. Breakfast is sometimes not included in hotel rates. Therefore, you can either pay for it separately or have breakfast in a cafeteria. Some people just have a cheese or spinach pie from the local bakery for breakfast. As people eat late, they also go out late. Usualy they go out for a drink after midnight. Night clubs in Greece open in the midnight and close when the sun rises. There is usually a ticket entrance that includes the first drink. Most Greekks prefer Greek music than international ones. There is practically no drinking age limit in Greece. Although the legal age limit is 18 and 16 under supervision, the law is almost never obeyed. Some clubs and cafeterias have signs at the entrance saying that the consumption of alcohol is not permitted to people under 18, but nobody asks for an identity card when you enter the club or when you order a drink. Although the Greeks drink frequently, they expect you to be descent even if you are drunk. Public displays of drunkenness are highly disapproved by the Greek society and they may call the police if you get too annoying. People in Greece drink wine or beer in almost all occasions, even in daily lunches. The traditional Greek wine is retsina and the most frequent Greek beers are Mythos and Alpha. Ouzo, tsipouro and raki are also traditional Greek beverages and frequently consumed by the locals. Water is usually drinkable in most cities of the Greek mainland, but in the islands, you drink bottled water. Most Greek islands are not water sufficient and they have to carry water with the tank. This water is used for bathing or doing the laundry, but not for consumption. It is a common fact that the Greeks drive like crazy, especially in Athens. If you want to rent a car and drive in Greece, always be careful, particularly if drivers in your country are civilized! First-time tourists in Athens are advised not to drive a car within the city limits. Better use public transportation or taxis. Buses go almost everywhere in Athens and it is pretty easy to find a taxi, so why bother? After all, if you are a tourist, it is most possible that you will want to move in the centre, where cars will not be of use for two reasons: first, the metro (subway) goes to all sights you will want to visit and secondly, finding a parking seat is a huge problem in the city centre and will probably ruin your mood. Better rent a car if you want to drive in the mainland, away from Athens. One of the biggest problems you will face when driving in Athens (and the major Greek cities) is traffic jam. This is due to many reasons, mostly because streets are narrow and people do not respect signs. In the peak hours, you will see plenty of cars parked illegally or double-parked. It seems that Greeks take the risk to get a ticket or cause damage to their car, while they get off to do a short task, most usually some quick shopping, to pay a bill or get a coffee to go from a near coffee house. This compared to narrow streets (stated above) creates traffic jam. If you miss your turn, do not expect that you can circle the block and get back where you wanted. Many streets in Greece are one way, so you may need to pass several blocks until you find a legal turn. Huge trucks, lorries and vans are allowed to move anywhere at anytime, even in the most popular or narrow streets. Even if you thing that you bother nobody with your driving, people will do get annoyed: if you drive fast, you will be yelled at that you drive like crazy; if you drive slow, you will be yelled at that you block the cars behind! Try not to pay attention or get upset, just go on! If you are stopped in a traffic line, someone will try to pass through the tiny space between you and the other car, just to get in front of you. People go fast even if they are not in a hurry. Motorcycles will never stay behind your car. They will either go in front of you or at least at your side. They will squeeze past cars to get in front in the traffic lines. When you are in the traffic line, if red goes to green and you don’t leave in the first second, you will hear horns and yellings from behind. Horn in Greece is used in all cases: to prevent an accident but also to greet someone familiar in the street. The noise of horns may drive you crazy sometimes especialy in Athens centre. 070Change lines when nobody is watching you! If you turn on the signal to change lines when driving, the car behind will speed up to get in front of you. Change lines when nobody is watching you! Most of all beware of motorcycles and taxis. Taxi drivers spend half a day driving and have too many nerves, so they lack patience and may result unpredictably. Always wear your seatbelt. The accident rate in Greece is the biggest in Europe and extra attention is required. Also there are frequent police blocks, especially in the highways. Unless you are in the countryside or the forest, be patient when you are looking for a parking seat. The national highways around Athens are in good state, but always pay attention because drivers usually raise speed a lot. Always conform to the speed signs. Usually, the speed rate in the highways is 100-120 km/h. However, some roads in the mountainsides are one-lined, have a lot of windings and pass through villages, so speed limit is much lower. There are more chances that a Greek driver gets past you on the right (illegally) rather than on the left (legally). Most road signs are written in Greek and English, but there may also be no signs at all. Most cars in Greece are manual, not automatic. If you want to rent an automatic car, ask it in advance from the agency people. Do not take it for granted that they have automatic cars. Gas stations are usually open from early in the morning till the evening and some stay open 24 hours. In the islands and the countryside, there is usually in turn a gas station in the area open all night. Apart from fuel, gas stations offer for free air pump and a squeegee to wash the windshield. Fuel is expensive in Greece. You are not expected to leave a tip in the gas station. If your destination is far away, make sure you have enough fuel, especially if you don’t know where the next gas station is. Lack of fuel is not included in most road assistance contracts. Driving in the centre of Athens and some major Greek cities is allowed in turns, depending on the days and the number of your plate. Do not be surprised if in rural roads, you have to stop the car and let sheep or other agricultural animals cross in front of you. Be prepared to pay tolls in the highways. A lot of them! Always have a detailed map with you or a GPS. An EU or USA driving license is valid in Greece but you must also have an International Driving Permit. You can rent a car in most areas of Greece and the Greek Islands. So need a valid driving licence, to be more that 18 years old with at least 2 years of driving experience. Assurance are like in other countries of Europe. You have an assurance for third parties but have to pay an extra assurance for you and the rented car. Many tourists get killed every summer on greek roads as they are not experienced with bikes and Greek people drive like crazy. Public transportation is adequately developed and comfortable in Greece. There are trains, suburban and urban buses, taxis and a subway system (metro) in Athens. Another subway system is being constructed in Thessaloniki, northern Greece, but it is not ready yet. It is not expected to be ready before 2015. The Metro in Athens serves a lot of neighborhoods and it really is time-saving. Tickets can be bought from kiosks inside the stations. They cost 1,5 euros and they are valid for an hour and a half. Buses in Athens are very frequent. Itineraries begin from 6 in the morning till 10 in the evening, but there are also a couple of night buses. Tickets can be bought from special kiosks, not inside the bus. There are buses on the islands, too, and many towns in the mainland, but the frequency of itineraries vary and in some areas, they may not be that comfortable. Suburban buses in Greece (KTEL) leave from Kifissou or Liosion stations in Athens. Make sure you know exactly from where your bus leaves because these two stations are far one from the other. People usually buy tickets last minute, unless there are few itineraries to some destinations. Suburban buses are comfortable, air-conditioned and clean. Almost always, they leave on time. Tram is another means of transport that works only in Athens. Trams are like the subway, only above the ground and much, much slower. They go coast by coast from Athens all the way to the southern neighborhoods. Trams have two departure points (Faliro and Syntagma square) and the last station is Voula. Taxis are frequent. You can find them in stations (called piatsa) in Greece or you can stop one on the road. To flag a taxi, you stand on the sidewalk, raise your hand when a taxi passes by and look at the driver in the eyes. Some may stop and wait for you to get in. Others will stop and you are expected to tell the driver your destination. If he doesn’t like your destination, he will just leave and you have to look for another cab. Do not be surprised if you share a taxi with other people. In Athens, it is illegal to get as many passengers as the taxi can get but the practice is common. It is possible that you are in a taxi and the driver stops to ask other people where they are going. If the route fits, these other people will come on board. However, you don’t share the fare, each one pays individual taxi fare. Have in mind that fares are doubled at night hours (12 pm- 6 am). When you get in a taxi, the driver usually sets the meter. If he doesn’t do it, ask him to, so that you avoid excessive and illegal costs. Sometime on islands or remote location, taxi fares are fixed so you will always pay the same amount from one point to another. Just ask before in order to avoid surprises. Also be aware that you have to pay some extra euro for the luggages. Do not hesitate to ask info from taxi or bus drivers. Even if some don’t feel like talking, they will eventually answer you showing you the way. A lovely means to get around in the islands is the donkey ride or a horse carriage, which usually have specific routes and fares. There are three types of hospitals in Greece: large hospitals with all the proper equipment, small hospitals in the country towns and some islands and medical centers for even smaller or remote areas. If a patient needs special care on an island where there is no hospital, then he is transfered by helicopter to the nearest hospital. There are, of course, private doctors in Greece who offer high quality services and speak excellent English, so it is very easy to communicate. Private doctors usually work only in the afternoon. Prices are not standard but they usually vary at about 40-50 euros. Every hospital has an emergency room and by turns some hospitals stay open all night. Regularly you have to make an appointment to visit the hospital in the morning, but the date of the appointment may be after a few days, so better go directly to the emergency room. The hospital emergency phone line in Greece is 166. Pharmacies in Greece work in business hours, closed on weekends. You can distinguish them because they have a Green Cross outside. By turns, there are pharmacies open 24 hours in every neighborhood. For the hours parmacies are closed, there is a schedule with the open ones on the window of each pharmacy, but it is only in Greek, so ask for the help of a local to show you the directions. Always have your prescribed medicine and glasses with you, when you travel in Greece, and something for the mosquito bite. Also a mosquito repellant would be of great help.